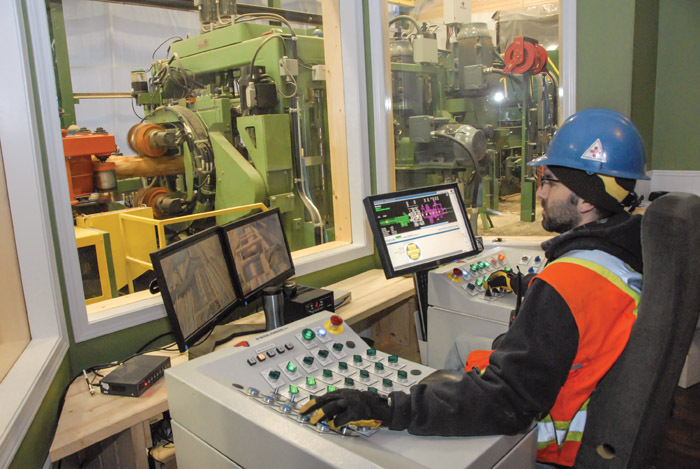 Timber Processing’s July/August issue reports on recent investments in technology that boost an innovative remodeling project for WKO’s green Douglas fir sawmill. Also included is the 2013 Lumbermen’s Buying Guide with nearly 400 forest products industry equipment manufacturers, along with a manufacturers guide to help locate all of the technologies. Machinery Row discusses an Idaho forest group that is beginning some major upgrades. Timber Processing magazine Managing Editor Dan Shell visits Mt. Hood Forest Products LLC in Hood River, Oregon. Following an extensive remodeling that put this longtime Pacific Northwest sawmill back in business as a green Douglas fir mill, Mt. Hood Forest Products, LLC has further invested with a new board edger enhancement to boost recovery. As one of the Wilkins family’s (WKO) three sawmills, Mt. 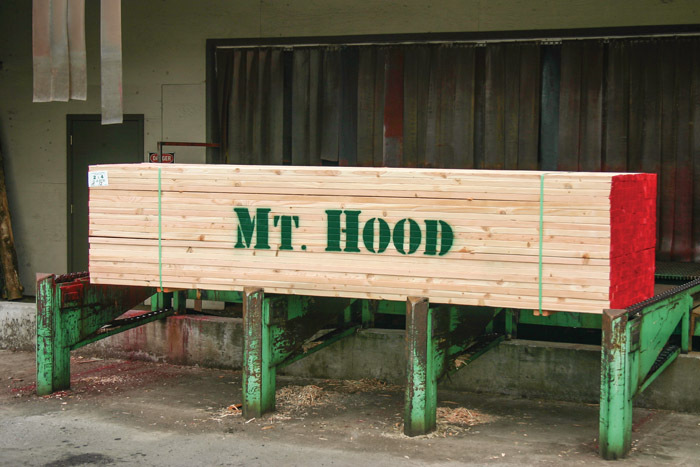 Hood Forest Products produces green 2x4s and 2x6s mostly for the construction market and provides a valuable processing option that allows WKO to compete better for timber sales and merchandise timber the company purchases. The mill itself has been a part of Hood River County for decades, operated at the same location since 1943. Timber Processing magazine editors report on the Southern Forest Products Association’s (SFPA) 32nd Forest Products Machinery & Equipment Exposition. 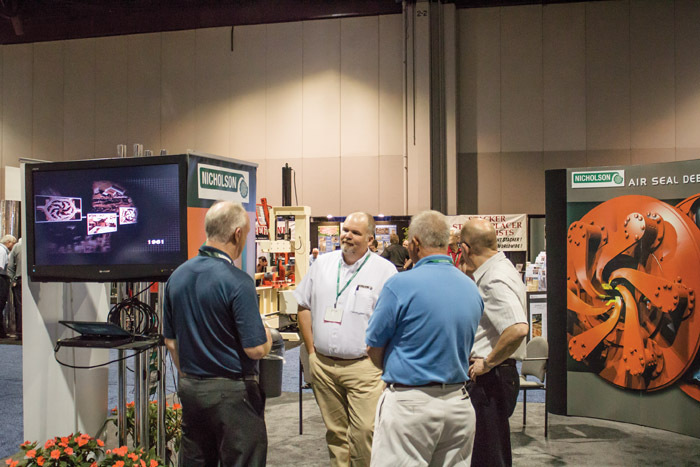 SFPA held the 32nd Forest Products Machinery & Equipment Expo on June 5-7 at the Georgia World Congress Center in Atlanta, Ga. and show management reported nearly 1900 in attendance and 156 exhibitors. Exposition Director Eric Gee said, “It’s good to see the industry recovering so strongly. We see nothing but growth and continued success for future shows.” The show theme was “Making the Grade” and many exhibitors were pleased with both the quantity and quality of attendees. The July/August 2013 issue of Timber Processing magazine features the 2013 Lumbermen’s Buying Guide. The guide features almost 400 forest products industry equipment manufacturers, suppliers, and service businesses and their products. The extensive product list, presented first, is followed by manufacturers. Both groups are listed alphabetically. Address all correspondence pertaining to the 2013 LBG to Rhonda Thomas, Timber Processing, P.O. Box 2419, Montgomery, AL 36102-2419/Phone: 334-834-1170/Fax: 334-834-4525.